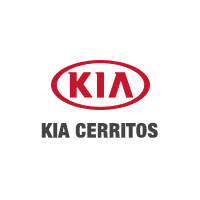 If you want a great deal on a used car, look no further than Kia Cerritos! Here, you’ll find our newest pre-owned vehicle specials, available to drivers from Los Angeles and throughout Orange County. Are you shopping for a used SUV with all-wheel drive for greater control in all driving situations? Or, are you looking for a used Kia Optima or Sorento? There’s a good chance you’ll find the vehicle you want in our used inventory, or below among our specials. When you’re ready, schedule a test drive in Cerritos! Why Take Advantage of Our Pre-Owned Vehicle Specials? Our services don’t stop after we’ve handed you the keys! If you purchase one of our on-special used cars, or a used car under $10K or under $15K, you can rely on us going forward for knowledgeable auto service and quality parts and accessories. We’re committed to helping Carson car buyers get the most out of their investments, whether they buy a new Kia or a used car for sale in Cerritos.